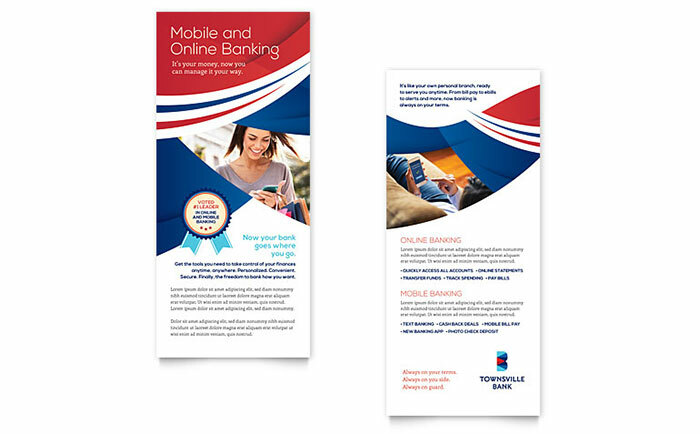 Banks and credit unions require captivating marketing materials to promote their in-branch, online, and mobile banking services. These are important tools to help attract and retain customers. 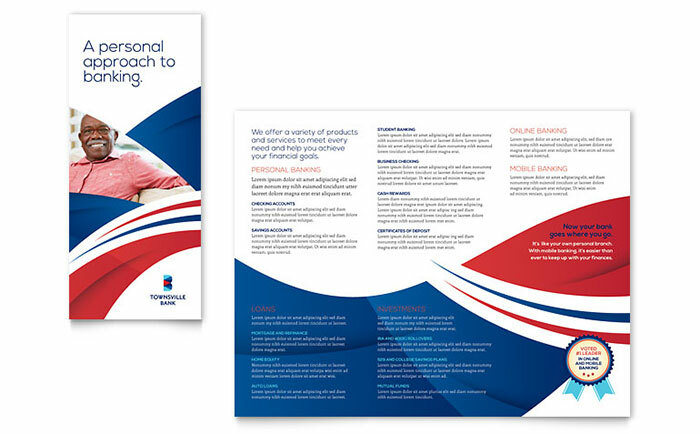 However, designing and producing brochures, flyers, advertisements, posters, and statement stuffers can cost a bundle, especially if they are outsourced to expensive ad agencies or design firms. 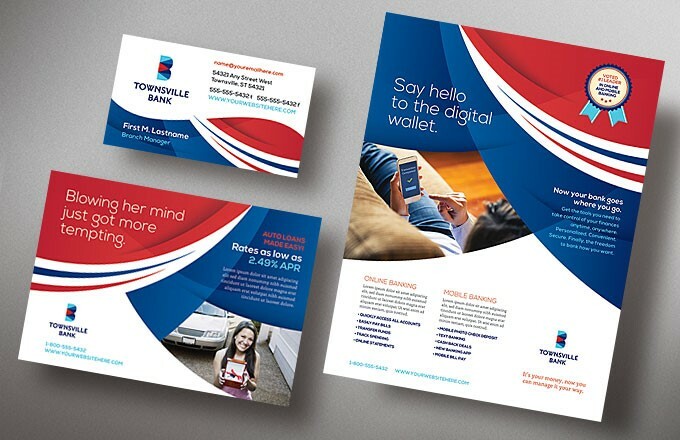 Turnkey marketing templates are a cost-effective alternative that allow you to take your marketing message in the direction you choose. 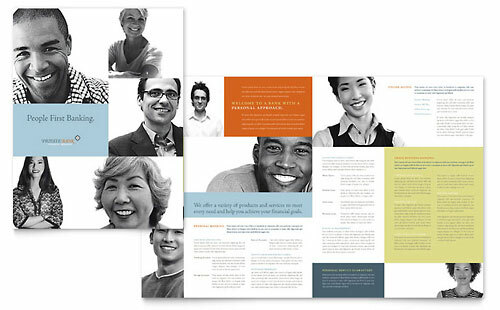 Let your bank’s unique personality shine through with customizable, easy-to-edit design templates from StockLayouts. Place brochures in display holders on counters and at teller windows. 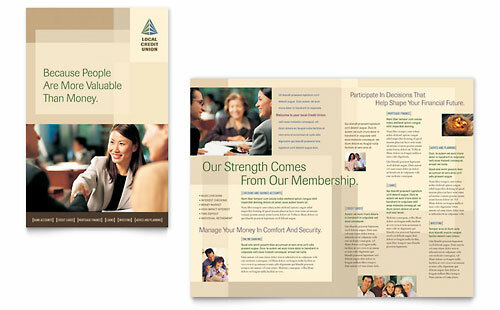 Create advertisements to place in community publications or print as small flyers. 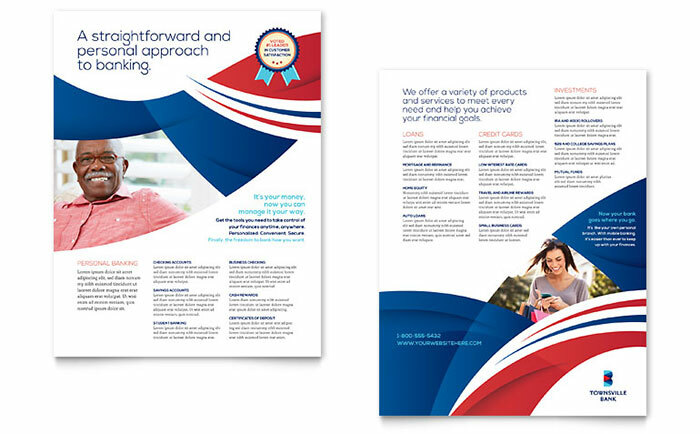 Informational flyers are a great way to share current events or new banking products and services. 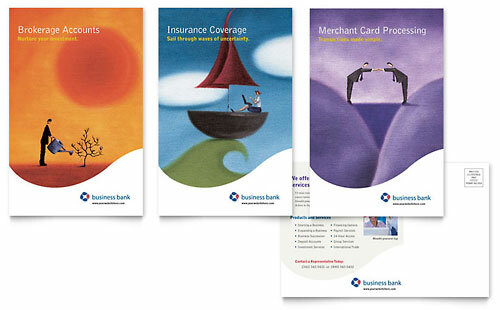 Direct mail is a great way to send notices inside bank billing statements. 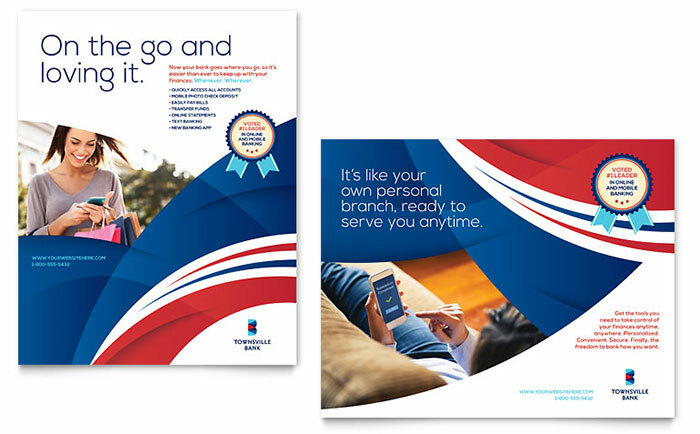 Display eye-catching posters in-branch to promote special offers and financial services. 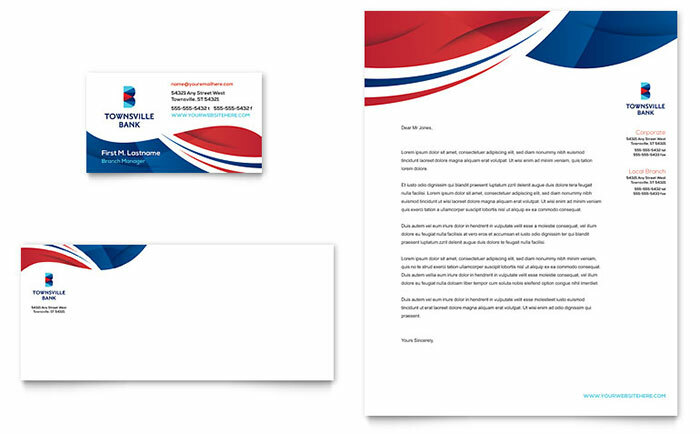 Personal bankers should have business cards with personal contact information to share with customers. 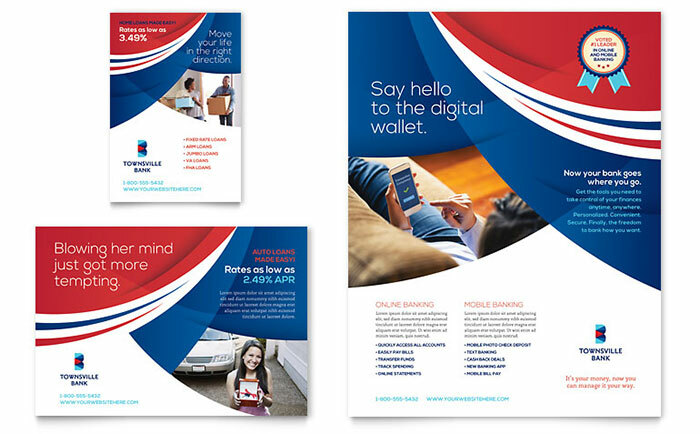 Here are a few more design ideas and inspiration from the StockLayouts template library to create bank marketing materials in-house quickly and affordably. 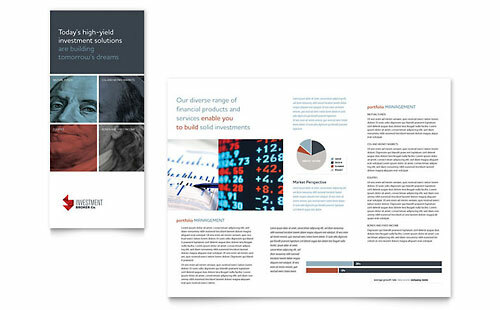 View all StockLayouts’ marketing templates for financial services. Get professional bank marketing templates for Word from LayoutReady.com.